light show and the futuristic imitating sound of Walrus calls. With sudden psychedelic shifts, you will awake. 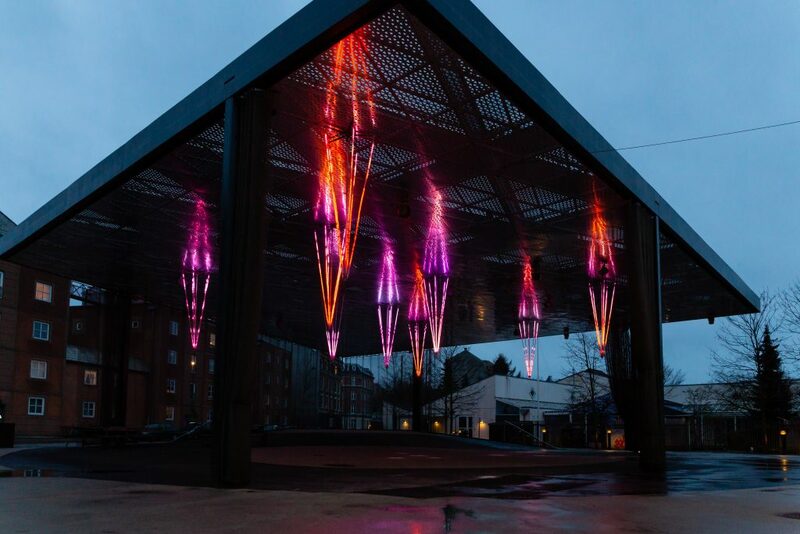 The artwork consists of 9 incandescent Icicles attached underneath the roof of Musiktorvet. Each Icicle contains 500 RGB diodes spread over 2,5 meter long LED strips.